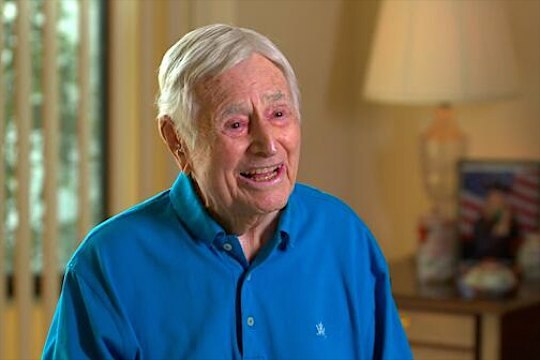 The oldest competitor ever to play in the US Masters, Samuel Henry “Errie” Ball passed away last week, at the ripe old age of 103. Amazingly, Ball was a PGA of American member for a record 83 years. Ball’s last job was as a director of golf at Willoughby Golf Club in Stuart after stints as a club pro in Illinois, Arizona and Florida, although he was actually born in Wales and came from a long line of golf professionals. He was taught to play golf by his father and, as his daughter Leslie Adams Gogarty pointed out “he never looked back”. The game of golf “was such a huge part of his life,” she said. Fittingly, Ball was inducted into the PGA Golf Professional Hall of Fame in 2011. History shows that Ball played in the first Augusta National Invitation Tournament in 1934, which later became the Masters, and finished tied for 38th, 25 shots behind winner Horton Smith. Ball went on to compete in 19 Senior PGA Championships, tying for second in the 1962 tournament. Gogarty said her father was encouraged to come to the United States by golf legend Bobby Jones. He was invited back to the Masters as an honorary guest Augusta a few times but didn’t attend preferring, he said, to remember Augusta the way it was. PGA of America president Ted Bishop said Ball’s career spanned the legends of the game, from Harry Vardon through to Tiger Woods. “His longevity, according to those who knew him, was founded upon a love of people,” Bishop said.